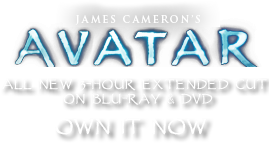 Tubineus azureus | Pandorapedia: The Official Guide to Pandora | Own AVATAR on Blu-ray & DVD Now! Young geode plants are abrasive in texture but still fairly flexible. They are collected and used as scouring implements for cleaning duties and as abrasive sandpaper for various kinds of construction. Older plants are quite rigid and hold water after a rain. They are collected for use as jars and cups for carrying, holding, and drinking liquids. Botanical Description Small, hollow cone-shaped plant with no leaves and very small root system. Brilliantly colored due to affinity for silica, which is absorbed into tissues. Ecology Unique life form with features similar to primitive fern-relatives on Earth. Ethnobotany Mature plants collected and used as vessels for carrying and drinking liquids. Young softer plants used as scouring implements.